EmDrive Thruster - NASA engine that defies the laws of physics? EmDrive Thruster – NASA engine that defies the laws of physics? 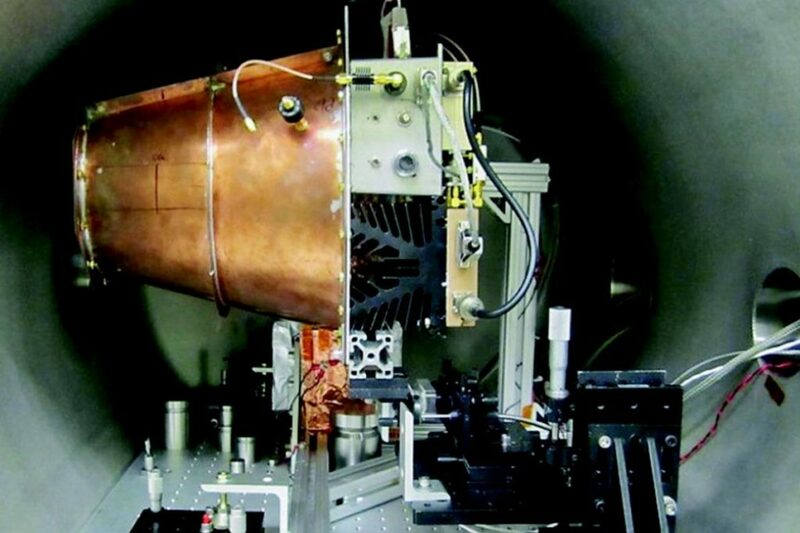 Home /Science/EmDrive Thruster – NASA engine that defies the laws of physics? A group of researchers at Johnson Space Center (NASA, US) published an article claiming that they have built an engine that seem to defy the current laws of physics: EmDrive is the engine that consumes no energy and could take us to Mars in just 70 days. Over the years, I have read many articles related to perpetual motion or other “miracle engine” that apparently contradicted the laws of physics. But I never seem to take them too seriously. However, recently, a group of researchers at NASA Johnson Space Center published an article in the Aerospace Research Central journal which describes an electromagnetic engine that could allow a spacecraft to travel the universe without fuel consumption. Scientists that worked on the project estimate that EmDrive engine could reach Mars in about 70 days. According to the scientists’ team, EmDrive generates propulsion by electromagnetic waves that are released into an enclosed space. They should “push” an engine without unacceptable “waste”, thus defying the third principle of Newtonian dynamics (every action has a corresponding reaction). The EmDrive is based on an idea that was proposed about 20 years ago by Briton Roger Shawyer: generating propulsion using electromagnetic waves, in particular microwaves, in a closed cone-shaped chamber. The electromagnetic waves “push” the chamber walls, thus the photons are pushing the device to a specific direction, but without something being wasted or left behind. Everything remains in the chamber. The laws of physics state that such a phenomenon is impossible! There were many voices arguing that the EmDrive works because the air is heated inside, so the temperature difference should be responsible for the shake of the chamber. NASA wanted to remove all doubts and conducted a test in a vacuum – a medium that is similar to outer space. In addition, researchers have attached the engine to a torsion pendulum. This way, the were able to measure the force produced by the engine; it generates 1.2 millinewtons per kilowatt in a vacuum. Read full the paper here. Most physicists believe an error might have been involved in the experiment. Even those who built the EmDrive Thruster and published the article identified 9 possible sources of error in the experiment. But so far, there have been no clear error identified. There are also attempts to explain the phenomenon through exotic physics. Researchers at Eagleworks, where the EmDrive was tested, think that microwaves generate a “virtual plasma”, ie particle-antiparticle pairs are generated in a vacuum and are reabsorbed almost instantly by quantum effects. However, to this date, no one has seen this “plasma”. Other physicists argue that a “pilot wave” should be responsible for the propulsion, without giving details of how this is happening. While experts in theoretical physics hope to find an explanation for the way this impossible engine works, the experiments at NASA will continue. Hopefully, we will be able to understand if we can really build an engine to take us into space and achieve a journey through the stars without wasting any energy. Of course, the results may also show that an error has crept somewhere or the interpretation of experimental results was wrong.